"The story of four souls who needed a body and one guy who needed some soul." 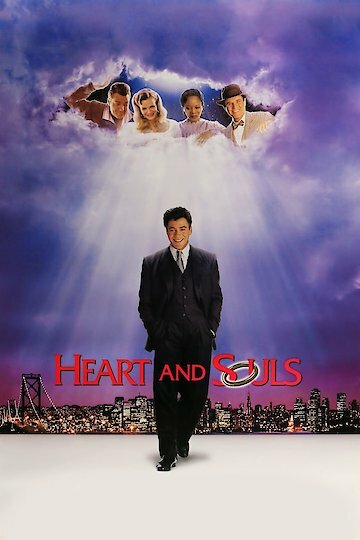 The 1993 fantasy-comedy movie, Heart and Souls touches on the subject of death and the afterlife. All four of the main characters who end up passing away have some unfinished business that they want to have completed on Earth and they enlist businessman Thomas Riley 34 years after their deaths for the mission.